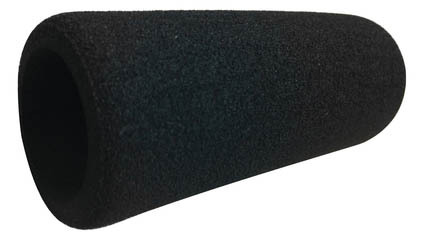 Foam pad/cover that fits on AR-15 pistol buffer tubes of 1.25 inch diameter. Made from Nitrile rubber which is resistant to oils and fuels with good abrasion resistance and high tensile strength. Temperature range of -20 to +220 degrees Fahrenheit. Made in the USA.